Old Pogue has a history dating back to the years following the Civil War. 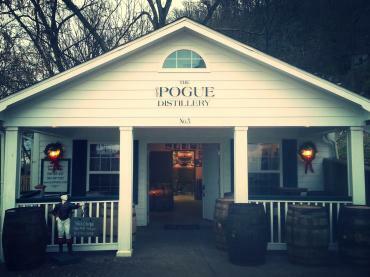 In 1876, the original Pogue distillery, Kentucky registered distillery No. 3, was established in Maysville, Mason County, Kentucky, very near a site often said to be the location of Kentucky's first bourbon distillery. Prior to Kentucky's statehood, Maysville was part of Old Bourbon County, Virginia, where pioneer distillers discovered that the Indian corn and limestone water of the region made a product of mellow character and distinguished flavor. Today, the bourbon-making tradition is carried forward by fifth and sixth generation Pogues using the original Pogue recipes under a time-honored and fixed formula. Our current base of operation is located in the very same plot of land in Maysville, and we are proud to offer superior quality, small-batch bourbon and rye spirits.